You can drop off barometers at the Eastern Regional Landfill year-round without an appointment. Most antique barometers contain about 4 ounces of mercury. If your barometer contains mercury, it can be toxic to landfills, so dispose of it with hazardous waste. If you have a broken antique barometer, have it repaired instead of throwing it away. 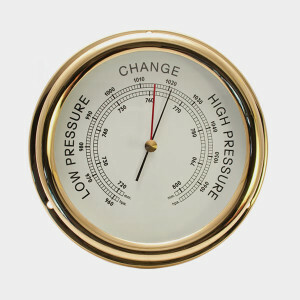 Check out The Barometer Shop, a store specifically dedicated to repairing antique barometers.